Looking for more local spots in Paris? Make sure you get yourself copies of our 2019 INSIDR Free Paris Travel Guides! Calling all Paris bound Pokemon trainers…your adventures searching for Pokemon can continue in the French capital! Jigglypuffs, Pikachus, Mewtwos can all be found hiding around the famous French monuments, swimming in the Seine, lurking in the Parisian parks. Paris is your perfect Pokemon hunting ground. The parks in Paris are full of Pokémon and lures for you to get some serious catching done. Jardin des Plantes has loads of Pokéstops in close proximity to each other so bountiful catching is guaranteed! La Villette is the central Parc of Paris! It’s huge with a canal running through it so it’s a must-go for any trainer. Buttes- Chaumont is another ideal Pokemon catching spot as there is a lake located in the center of the park, so it’s the perfect opportunity to catch water Pokemon! The park is also a beautiful spot to stroll around and has great views of the city from the top of the hill. We have been informed it’s full of Eevee! Walk along Canal de l’Ourcq and Canal Saint-Martin to catch bundles of water Pokemon. There are also plenty of Magikarp that can later be evolved. We recommend starting at Parc Buttes-Chaumont, walking down Rue de Crimée, along Quai de la Loire to Jaurès, cross the road to Canal Saint-Martin and continue all the way to République. Île Saint-Louis and Île de la Cité, located in the center of Paris are ideal Pokémon catching spots as the lures can cover a vast area. You will also be right next to the Seine, so there are plenty of water Pokémon to catch! If you plan on sticking to the gyms around the center of Paris to battle your Pokémon, good luck. These gyms are only for the most advanced level players, however if you head to the outskirts of the city, you will find plenty of gyms which only have around 200-300 CP. The 19th arrondissement, for example is a good place to start. Pokémon catching is tiring, and every trainer needs to rest to recharge their batteries, as well as their phone batteries, so here are a couple of good cafés which are located near parks, or bodies of water so you can enjoy Pokémon catching over a refreshing drink, bite to eat or cup of coffee. Just next door to Le Pavillon des Canaux, is Paname Brewing Company, a brewery selling craft beer made in France. The perfect spot for a refreshing pint before continuing your Pokémon Go adventures! Ideally located right by the Seine, you can enjoy a delicious coffee and cookie whilst catching all those water Pokémon! Right at the end of île de la Cité at Place Dauphine, there are 5 different Pokestops very close each to another. Very often, especially during the week-ends, you can find lures on all Pokéstops, so just sit on a bench and catch loads of Pokémon whilst being able to take all the objects from the Pokéstops. Since our last update, you can now find a LOT of Exeggcute Pokémon around the Strasbourg Saint-Denis area. So it might be worth it if you are near République to stroll down a bit further to catch some of those. La Coulée Verte in the 12th arrondissement, a former rail track converted into a huge garden stretching from bastille to Vincennes, is perfect walk to catch many Pokémon! INSIDR’s partner, Localers, has created a tour expertly crafted for Pokémon trainers like you! 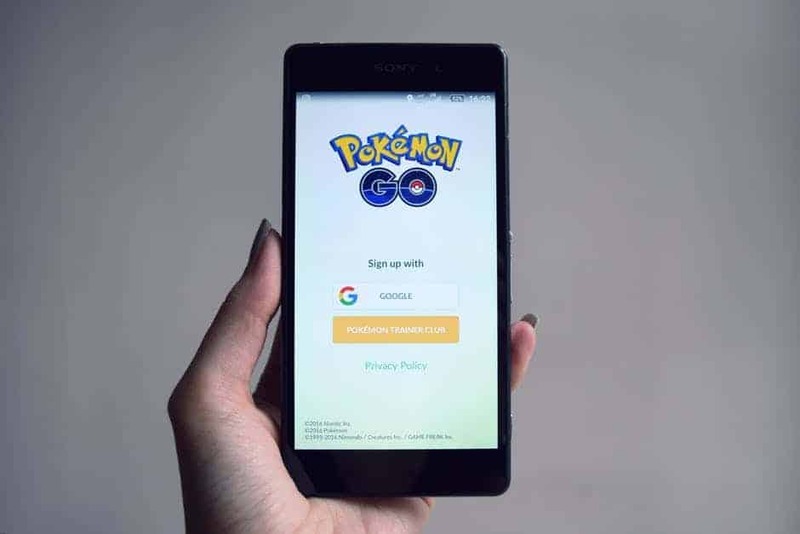 The tour lasts 2 hours 30 minutes, during which you will be guided around big hunting grounds, areas where rare Pokémon are lurking (you may even be lucky enough to catch the famous Mr Mime) and Pokégyms! It’s also the perfect opportunity to learn more about what makes the City of Lights truly extraordinary as you journey through the streets on your Pokémon quest. Go, and Catch ’em all!